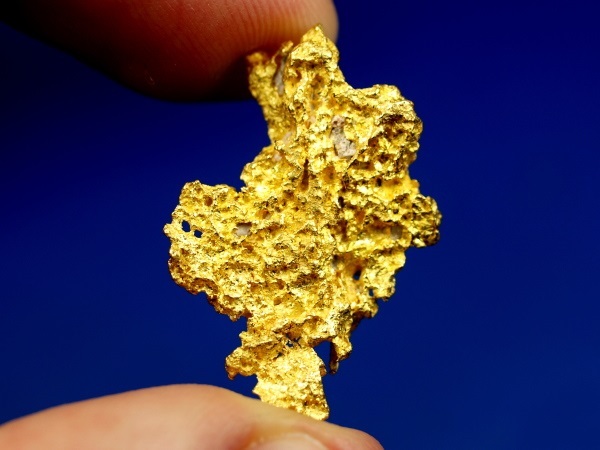 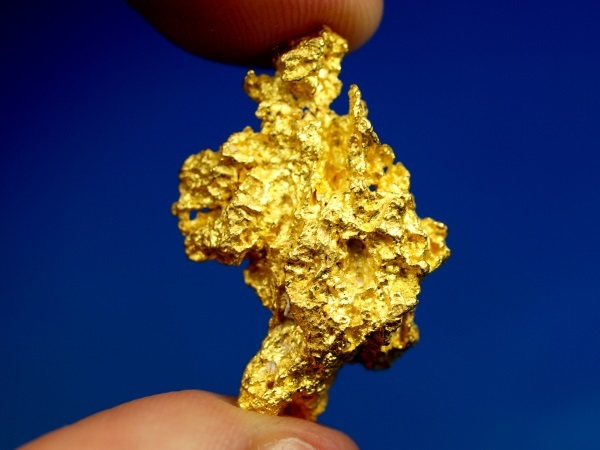 This gold nugget that was recently found with a metal detector in Western Australia. 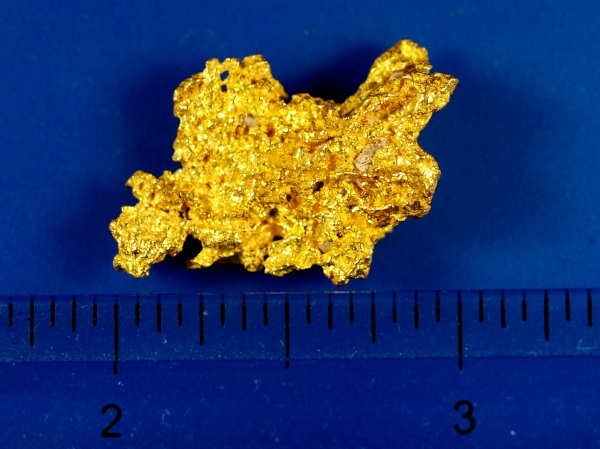 It has a very rough texture and lovely bright gold. 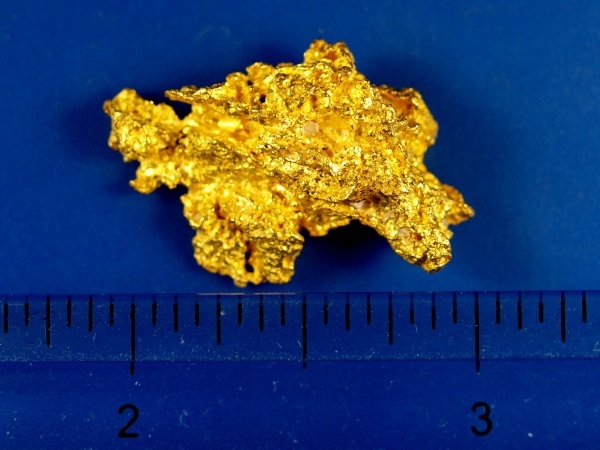 It weighs 13.03 grams.